British summer time means barbecues in the park, rooftop sundowners and a general feeling of happiness. Add in some music festivals to the mix, and you’ve got the perfect recipe for an epic summer. From seaside concerts to weekend gigs in the countryside, here are our top five music festivals of 2015. Take your pick! Dating back to the ‘60s, the Isle of Wight Festival started out as Europe’s equivalent to Woodstock, bringing Jimi Hendrix, The Doors and Joni Mitchell to the UK. 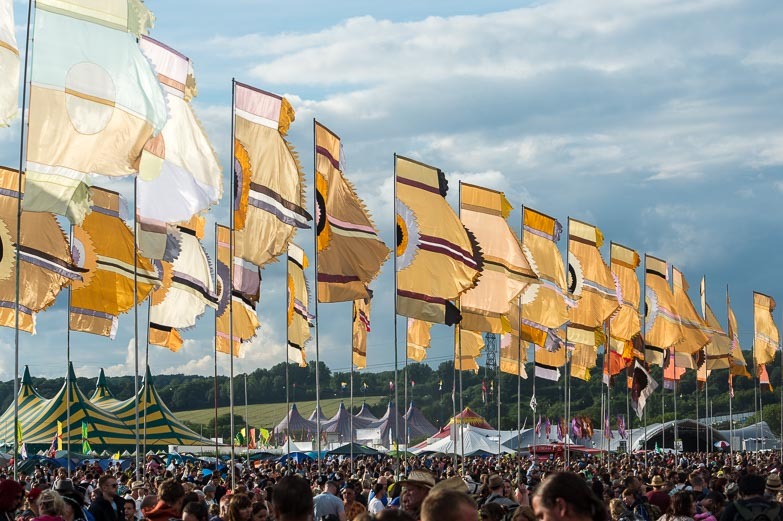 In recent years the line-up has been varied and as always, legendary – with Fleetwood Mac performing alongside other big names like Prodigy, The Black Keys, Blur and Pharrell. Just two hours outside of London, all you need to do is get yourself to one of the four mainland ferry ports at Southampton, Portsmouth, Lymington or Southsea – where the fun starts with a short ferry trip towards the island. The festival is family-friendly, with free entry for children under 12. Take a break from the hustle and bustle of city life for a blissful weekend of new music at the Great Escape in Brighton. Headlining in recent years have been the ‘Hold On’ hitmakers Alabama Shakes, who received three Grammy Awards in 2013 for their album Boys and Girls. Over 300 bands perform at more than 30 venues across the seaside town, which means you get to see new acts before they eventually go mainstream. A hipster’s dream! Headline acts including Metallica, Mumford and Sons and The Libertines have all graced the Reading and Leeds Festival – the ultimate in metal, rock and indie music. It’s THE place to get head bang and your hangover before heading back to work. The legendary Secret Garden Party is by far one of the most interesting festivals. The theme of Childish Things encourages festival goers to escape the grownup world, and revert to their childish roots with paint fights, dance offs and action camps. No festival list is complete with mentioning good old Glasto. It’s reached legendary status all over the world, and celebrities far and wide flock to the countryside. 2018 is going to be a fallow year to allow the earth to breathe and recoup – we all need that! Feel like getting your groove on? Have a look at the dance and music experiences on RLD. We’ve got something for everyone!